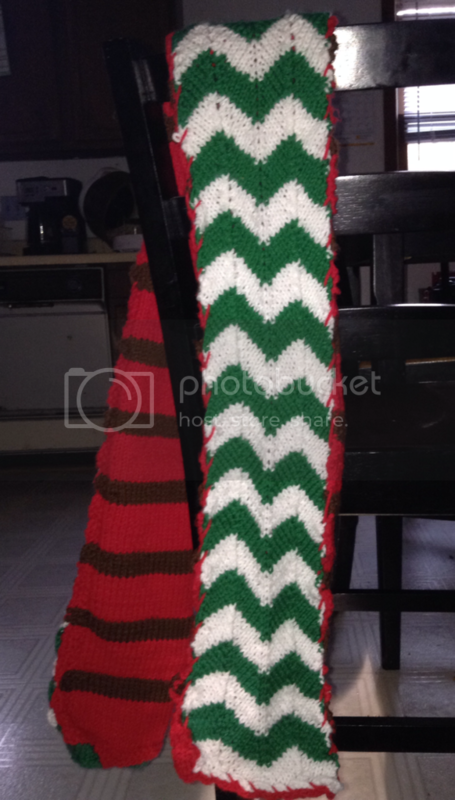 Due South Inspired Double Sided Scarf Giveaway. Giveaway closed. Given to my internet friend! Scarf measures 6" x 60". Made from 100% acrylic yarn. The red and brown side represent a Mountie uniform and a Sam Brown. The white and green side represent Dief and RayK's turtle. If anyone wants it, just leave a comment (comments are screened) with address and I'll mail it as soon as possible.